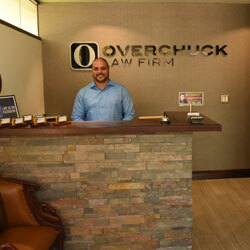 Why Choose The Overchuck Law Firm? When you choose me as your lawyer, you do just that, you get me as your lawyer. I will take your calls and be available whenever you need me, even on the weekends. You will have my personal e-mail that forwards to my cell phone so you will receive a response the same day. I have never had a client say, “I could not reach my lawyer when needed.” My office does not have an answering service. What does that mean? After hours, our calls are forwarded to our cell phones so no stranger will be taking your calls. I am the kind of lawyer that REALLY cares about his clients. I am a kind, good-natured person who will treat you with the respect you deserve. I am married to my beautiful wife, Natacha, who is a self-made woman herself. When I am not spending time with my family, I will be in my office working on YOUR CASE. You are my client but you are also my employer – I WORK FOR YOU. My goal is for you to be so pleased with me as your lawyer that you refer everyone you know that may need representation. I will do everything I can to make sure I will be the lawyer you turn to for the rest of your life. As to my background, I earned my juris doctorate law degree in 2002 and passed the Florida Bar Exam on my first attempt. I have extensive experience in all aspects of personal injury cases. I handled over 1000 personal injury and wrongful death cases from start to finish recovering over 75 million for my clients. I have obtained successful outcomes for my clients because I am relentless in obtaining justice on their behalf. My first job at the age of sixteen was working in a personal injury law firm. I started at the bottom and worked my way up – literally working in every position in that firm. That hard work built the character necessary to run a successful law firm. Today, there is no job beneath me or that I won’t do and I expect that same mentality with each and every person that works here. Simply put, we are a team – Team Overchuck. And that team is here to serve YOU. In addition to being a full-service personal injury firm, we are a trusted referral source for any legal matter you may need. 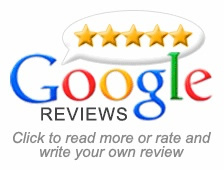 If we don’t do it, we will find you the best attorney that does. The Overchuck Law Firm advocates for individuals who have suffered injuries in car accidents, motorcycle accidents, pedestrian accidents, workplace accidents, premises liability incidents, slip-and-fall accidents or while using defective products. The Overchuck Law Firm has access to all the technology tools necessary to place a juror at the scene so that they understand what you went through. Insurance Companies and defense attorneys have an infinite amount of resources in order to fight your claim. But here, we too have the ability to fight back against the big insurance companies because we understand how they operate. At the Overchuck Law Firm, our clients are not just cases; they are family, friends and neighbors. So we do everything possible to provide options and let you know the different avenues available to you, regardless of the type of accident you have been involved in or what kind of injury you have suffered. But for those clients who have suffered a severe injury, we know from experience, that these cases are complex and require a great deal of additional work, expense and expert testimony. The more severe injury cases require resources that our firm can, and will, provide. At the Overchuck Law Firm, we have clients that come from all socio-economic levels and different backgrounds. However, our clients have one thing in common: each has suffered an injury because of another person’s or company’s negligence. We are here to hold them accountable.